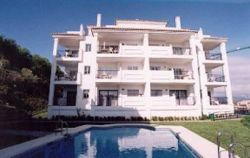 1 Bedroom penthouse apartment in the Miraflores development overlooking the pool, Close to Miraflores Golf course, This Property would ideally suit young couples or Golfers. The kitchen is well equiped with fridge freezer, microwave, kettle, toaster and washing machine. 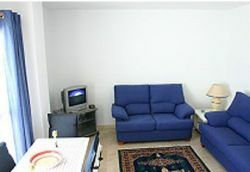 The lounge is furnished with one sofa and one sofa-bed, table and four chairs, TV, DVD & CD System. 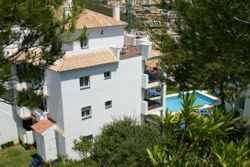 The bedroom has a large fitted wardrobes and en-suite bathroom. Floors are marble throughout, the beds are single but can be put together as a double. 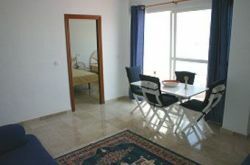 The apartment is situated at the quieter end of Miraflores overlooking the pool, it boasts a very large terrace offering sun from sunrise until sundown and it comes with 2 sun loungers. table and four chairs & umbrella. Allocated parking.